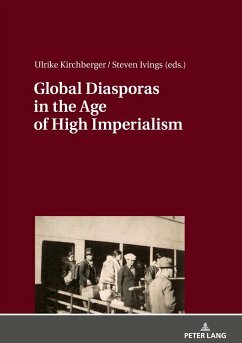 This book sheds new light on the role global migrant communities played in the context of imperial expansion. It offers two systematic chapters and seven case studies which deal with the Japanese, German, African, Chinese and Khoja diasporas. By comparing different diasporic formations with each other and in their relationships to colonial imperialism, the volume challenges the paradigm that imperialist ideologies always originated in the European mother countries of imperial expansion and highlights the multi-directionality of the imperial discourse which crossed diasporas, empires and colour lines. The volume seeks to contribute to a more nuanced understanding of the dynamics of global community formation in the context of imperial expansion. Ulrike Kirchberger is a research fellow at the University of Kassel, Germany. She has published widely on the history of European colonialism and on the history of migration. Her current research deals with ecological networks and transfers between Australia, South Asia and Africa, c. 1850-1920. Steven Ivings is an assistant professor at the Graduate School of Economics, Kyoto University, Japan. His current research interests include the Japanese empire in a comparative perspective, colonial migration, and migratory labour in northern Japan.